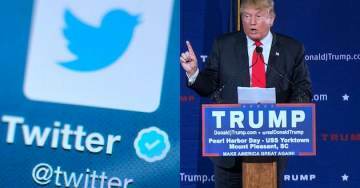 You are here: Home / A-Blog / President Trump Warns Twitter: “Shadow Banning” Prominent Republicans Not Good – We Will Look Into Discriminatory and Illegal Practice. Twitter is also censoring prominent pro-Trump accounts including: Mike Cernovich, Jack Posobiec, Paul Joseph Watson, TGP’s Jim Hoft, TGP’s Cassandra Fairbanks, TGP’s Lucian Wintrich and Laura Loomer among others. Rep. Matt Gaetz (R-FL) told the Daily Caller Foundation on Wednesday he is considering filing a FEC complaint over Twitter’s preferential treatment of liberals versus its censoring of prominent conservatives. And today President Trump weighed in and warned Twitter about its discriminatory and illegal practices.